Luka Modric has become the first player to break Messi and Ronaldo's duopoly of the award since 2007, with Brazil icon Kaka being the last to lift the trophy before the Argentine and Portuguese stars collected five each across the following years. Luka Modric has beaten off competition from the likes of Cristiano Ronaldo, Antoine Griezmann and Lionel Messi to be named the winner of 2018's Ballon d'Or. 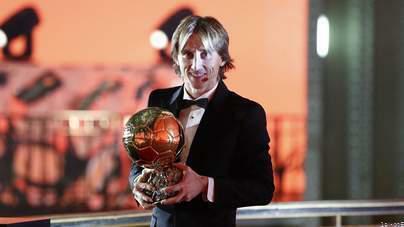 Luka Madrid is the first Croatian player who wins the Ballon d'Or!